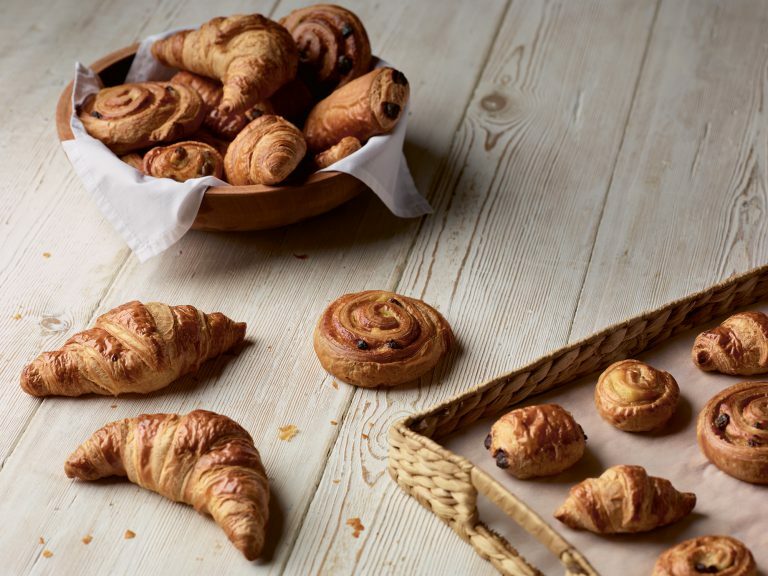 We’re proud of our quality and when it comes to viennoiserie we want to ensure that we can offer the same fantastic range of products. Therefore, we’ve partnered with a continental business that shares our values and creates amazing pastries for us. Mini version of classic pure butter croissant. Mini versions of croissant, pain au chocolat and pain au raisin. Great for buffets or continental breakfast. Melt in the mouth all butter pastry filled with rich dark chocolate. Rich all-butter pastry filled with crème pâtissière and juicy raisins. Traditional curved all butter croissant, perfect for continental breakfasts.